Japanese Weapons There are 192 products. 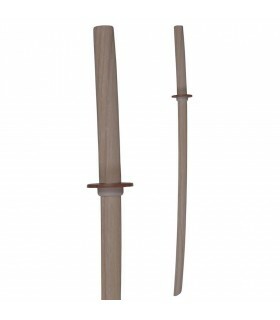 The bokken is a wooden sword used in various martial arts from Japan, mainly in: classical Japanese swordsmanship or kenjutsu, modern traditional fencing or kendo, the art of unsheathing and cutting with the sword or Iaido, and the art of Jodo stick or fencing. 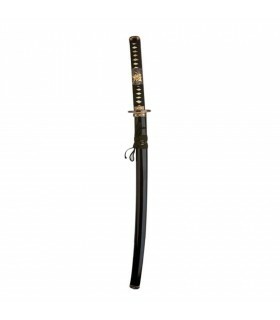 Tsubas Kitts cleaning, holsters and other accessories and clothing for katanas, iaitos, bokken, naginata, nodachis, sais, shirasayas, Tachis, many, Wakizashis, etc. 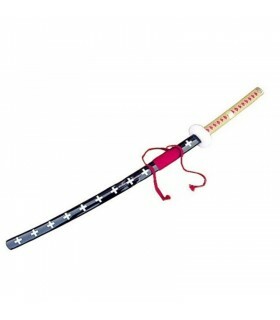 Bleach Rukia Kuchiki Katana. Stainless steel sheet. sheathed painted white.NO includes support. 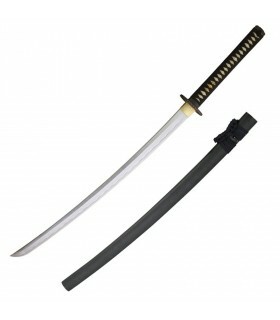 Hattori Hanzo katana, the master swordsmith Kill Bill. Stainless steel sheet. It includes desktop stand. 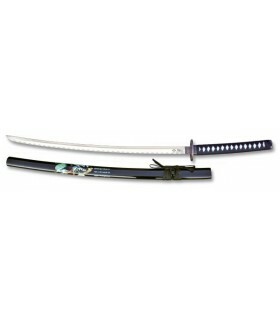 Katana Spirit of the film Last Samurai starring Tom Cruise. Foil 69 cms. It includes desktop stand. 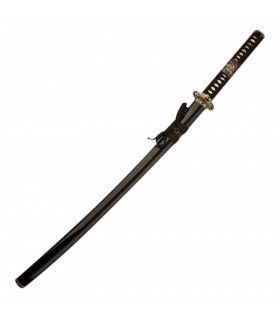 Courage Katana Last Samurai movie starring Tom Cruise. 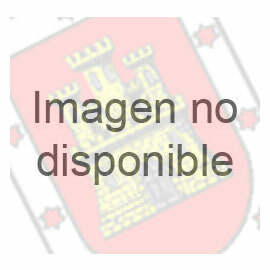 Foil 69 cms. It includes desktop stand. 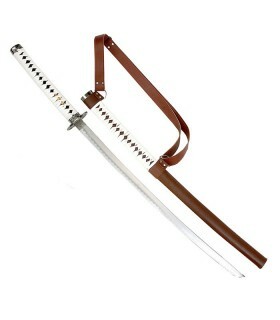 Katana Bleach Ichigo Bankai. 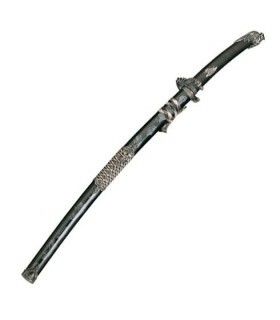 440 steel blade made in black pod. 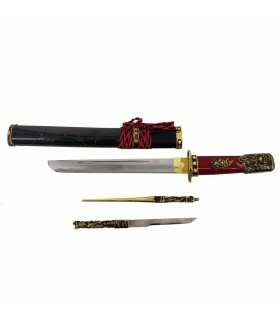 Katana carbon steel with wooden sheath decorated with 69 cms. sheet. It includes desktop stand. For training Bokken made of rigid, durable and lightweight polypropylene house Cold Steel. Imitation grip grip rope. 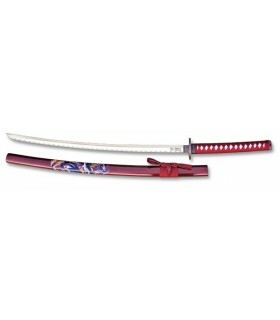 Katana Bleach anime Rojuro Otoribashi made of stainless steel. 440. 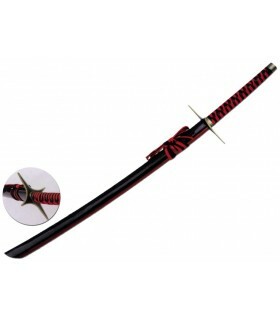 Includes sheath lacquered black-red. 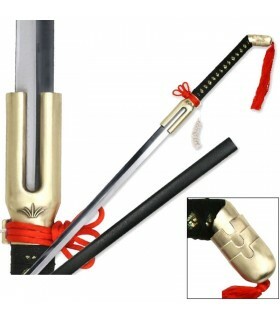 Katana Duncan film Highlander (Highlander), forged with stainless steel and manufactured in the factory Marto Toledo (Spain). It is accurate to the movie Highlander reply. It comes with certificate of authenticity. 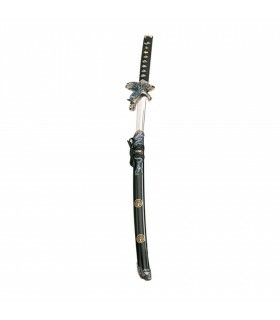 decorative katana The Walking Dead series. 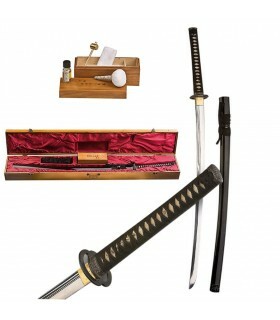 The blade is carbon steel and has a length of 69 cm. Total length 104 cms. 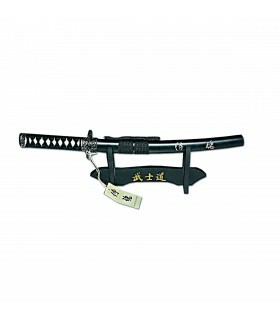 Katana unofficial from the movie Kill Bill. The design is based on the film written and directed by Quentin Tarantino. Initially I wanted to make a movie of 2 hours, but Tarantino was proposed to divide it into 2 movies. 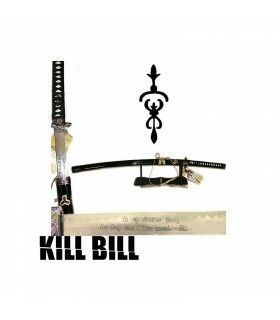 Is katana belongs to the character Bill. 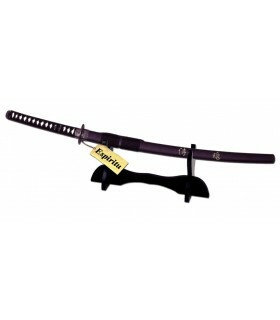 Katana black snake with black sheath. With stainless steel blades. 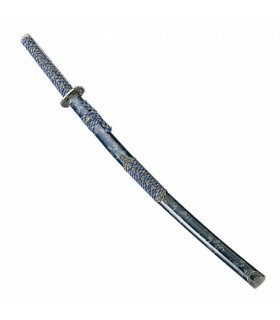 Katana Blue-Silver 440 stainless steel sheet. 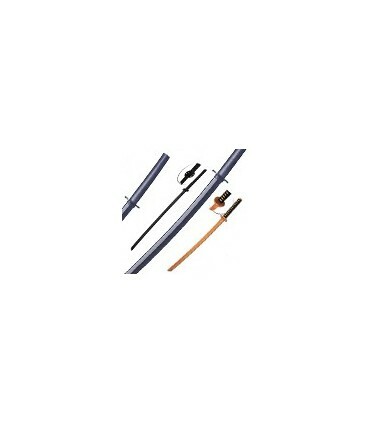 Shinai Kendo train, with tsuba polymer and rubber retaining ring. 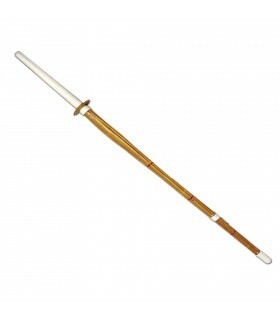 The shinai, is much safer and less lethal than wooden sword or bokken. 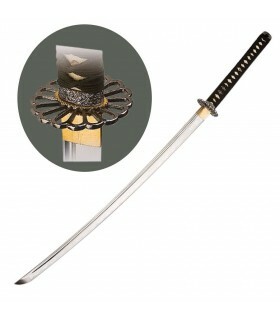 Decorative Katana with sheet steel and carbon 69 cms. It includes wooden stand. 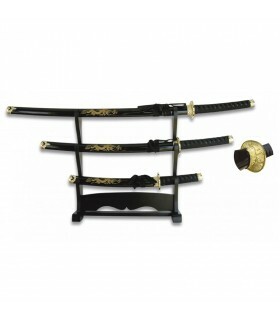 Decorative Katana Samurai with stand and black sheath. In the pod he carries a picture of a Japanese Samurai. The blade is 69 cms. 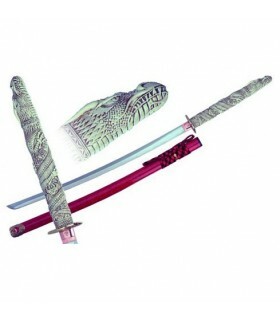 Red Dragon Katana decorative sheet with 69 cms and red sheath. In the pod he carries a picture of a dragon. 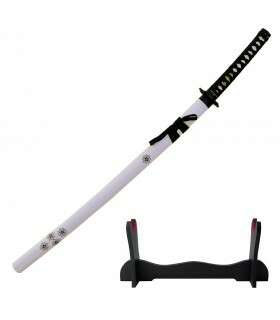 The katana stand included. 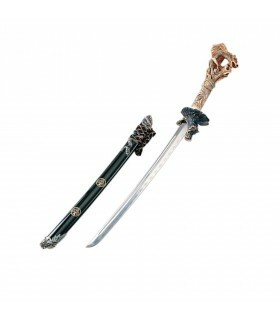 Both decorative with a total length of 45 cm. The blade is made of steel and carbon. It includes wooden stand. Katana Connor from the film Highlander (Highlander), forged with stainless steel and manufactured in the factory Marto Toledo (Spain). It is accurate to the movie Highlander reply. It comes with certificate of authenticity. 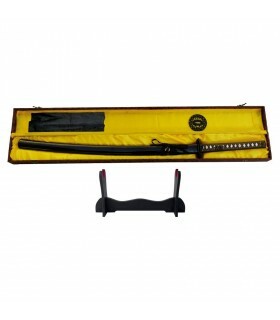 Dai Katana latex 105 cms. 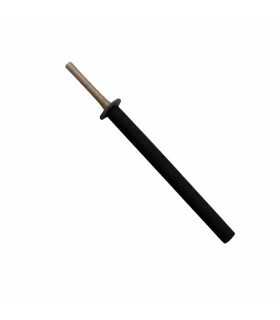 Katana made of high quality latex. Strung with leather handle split. Ideal for LARP and RPG. 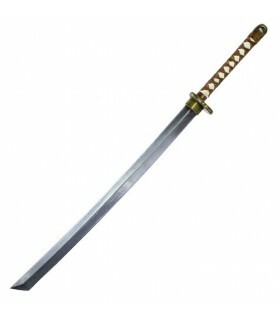 Tiger Katana Hanwei Cass created by hand-forged steel K120C. Saya lacquered black. Tsuka in ray skin quality and tsuka-ito and sageo Japanese cotton. 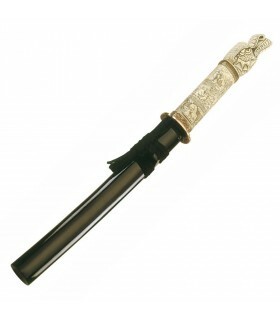 The fuchi, Kojiri, koiguchi and Kurigata are manufactured in old iron finish. Handmade Tsuba. Habaki one-piece brass. 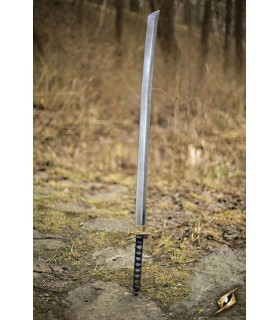 LARP latex Katana, 85 cms. 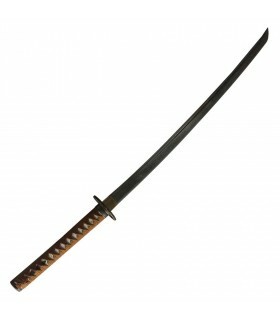 Japanese Sword Nodachi latex, 140 cms. 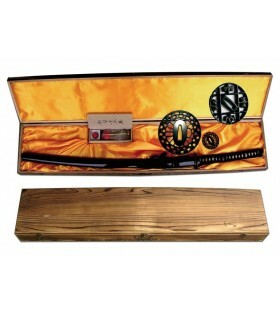 Bokuto o bokken oak wood designed for training. 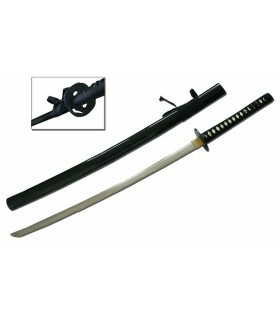 Dimensions similar to those of a katana. 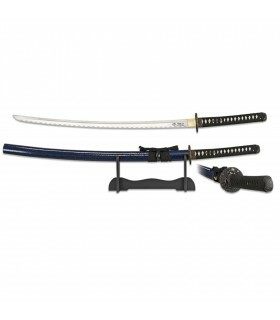 Katana with carbon steel blade designed for movements, never for contact. Includes wooden base. 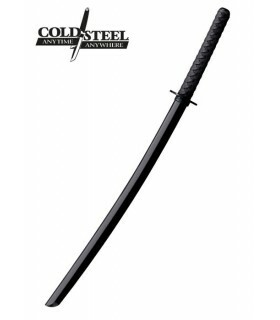 Katana Plus XL series practices with 1566 differential carbon steel blade and hardened in a traditional way. 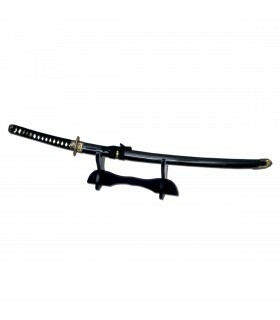 Wakizashi Connor from the movie The Immortals (Highlander), forged with a blade of stainless steel and manufactured in the factory Marto Toledo (Spain). It is an exact replica of the movie Immortals. Both Connor from the movie The Immortals (Highlander), forged with a blade of stainless steel and manufactured in the factory Marto Toledo (Spain). It is an exact replica of the movie Immortals. 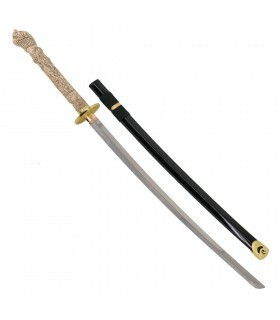 Both Toledo model Shimazu with handle of red wood and sheath black lacquered. The blade is made of stainless steel. Total length of 42 cms. Katana Hiro Nakamura from Heroes. Hiro Nakamura is a young employee of a japanese passionate about comic books, superheroes and science fiction. For this reason, once you have discovered your power, not afraid, but excited. 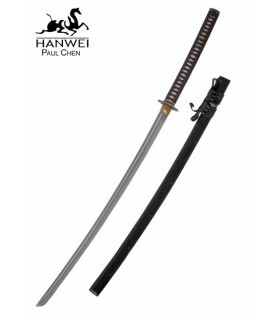 Katana unofficial from the movie Kill Bill. The design is based on the film written and directed by Quentin Tarantino. Initially I wanted to make a movie of 2 hours, but Tarantino was proposed to divide it into 2 movies. 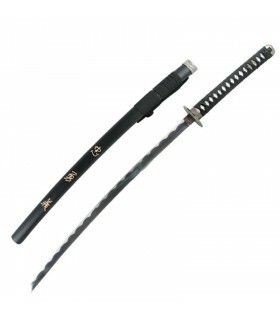 Is katana belongs to the character Budd. 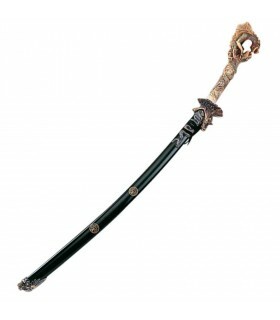 The sword of Trafalgar Law is a nodachi, a japanese sword that usually should be held with both hands.